I believe this to be an art deco designed sterling fork handle. 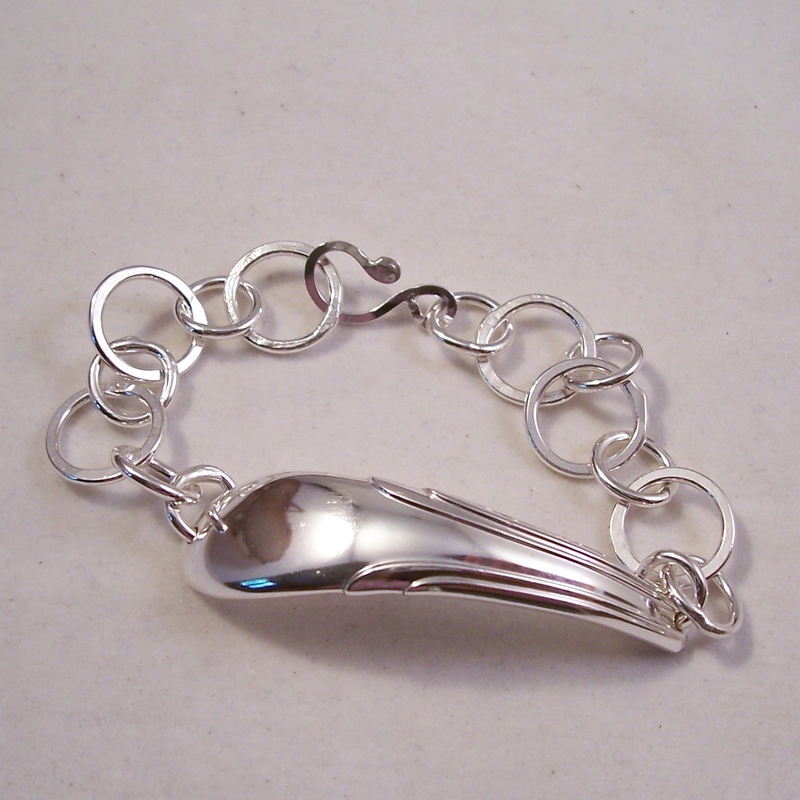 Anyway, I used it as the focal of my combination chain/cuff bracelet. 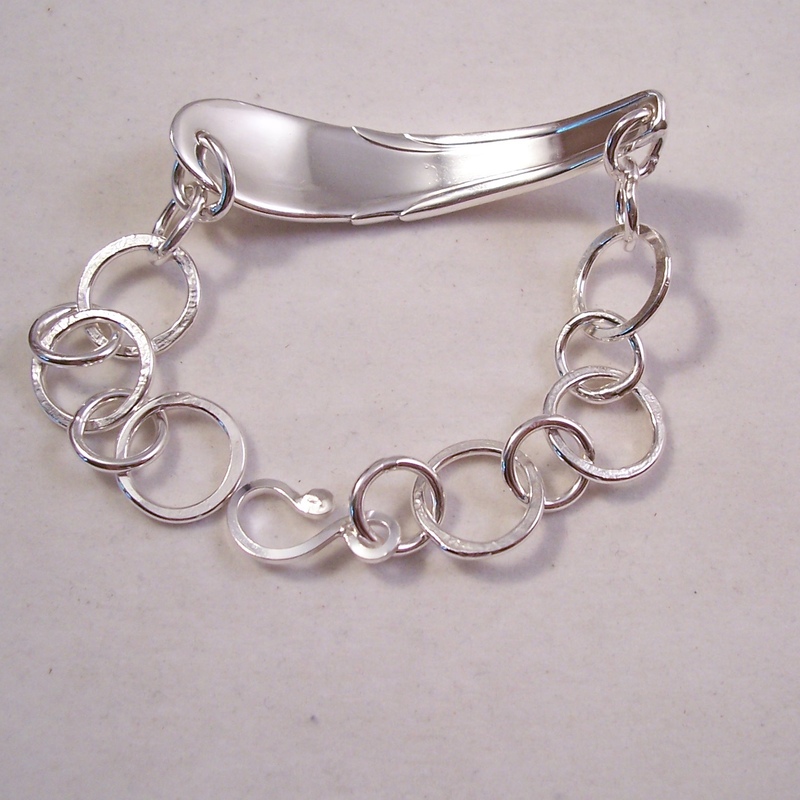 The chain links are all individually soldered and the hand made hook clasp is a very secure closure. It has been tumbled for hours for the durable tarnish resistant finish. 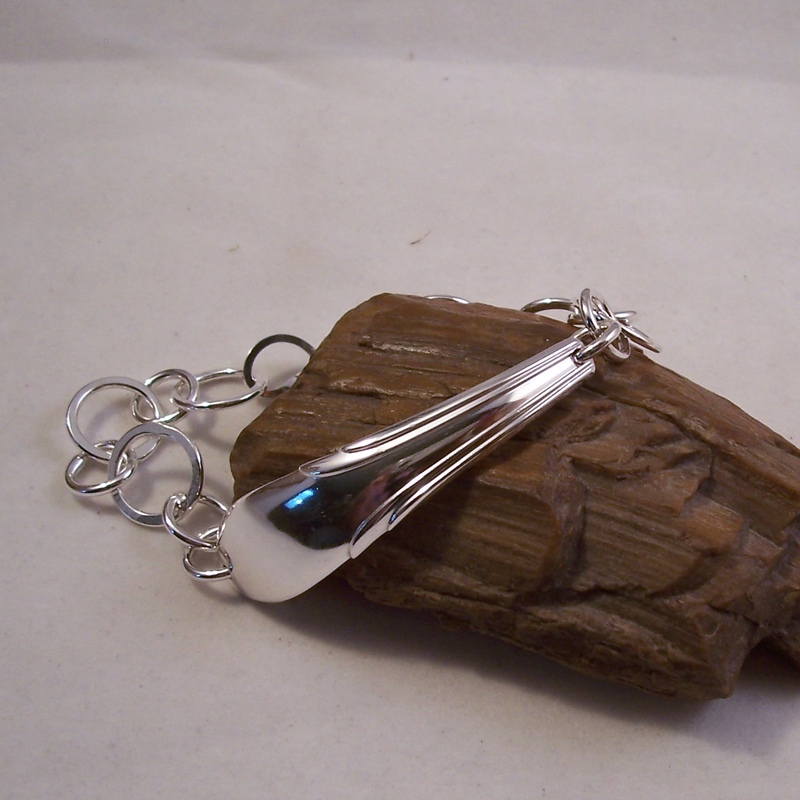 This is a generous 8" long but can be clasped on a shorter ring for a smaller wrist. The focal fork handle measures 2 3/4" by 1/2".